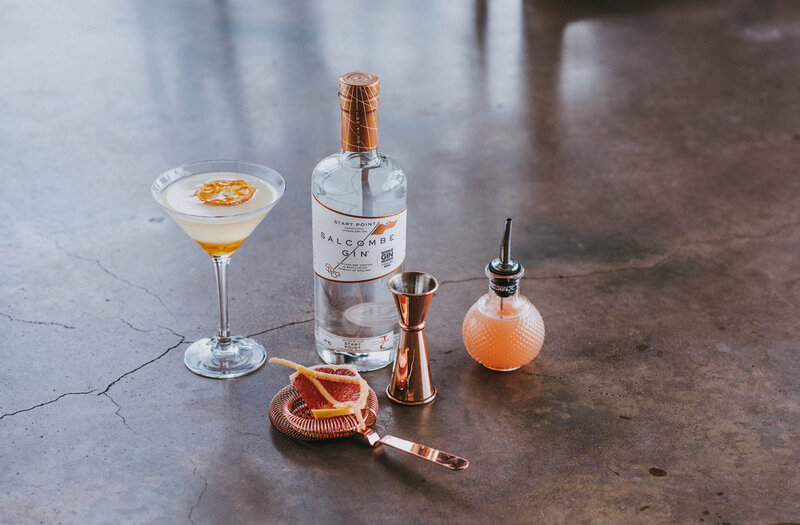 The Sicilian Brunchini | Salcombe Distilling Co. In a Boston shaker glass add the gin, triple sec, lemon juice and 1 spoon of blood orange marmalade. Fill to the top with ice, and shake until cold. Discard the ice from the martini glass and place a spoon of the blood orange marmalade at the bottom. Double strain the mixture into the martini glass. Garnish with a slice of sun-dried orange.